We had a fun low key Easter at our house this year. We spent it with our immediate and church family and just enjoying some quiet time. We enjoyed celebrating the true spirit of Easter and sharing the joy with those we love. For us Easter begins the evening before when, we attend The Great Vigil service each year. The highlight of this service was the moment of welcoming Easter. Our Minister gave a funny little speech, before we began, about trying not to be polite New Brunswicker's in church, and to outwardly express joy. At the beginning of the designated song, DH noticed him bringing out a conch from under the alter, so we knew it was about to get interesting. At the designated moment he began to sound the conch, but was quickly in competition with a member of the praise band who had brought a hockey horn. They continued in a war of sound for several minutes, which left us all in stitches, and with no clear winner. I think I will remember the redness of effort on the Minister's face for a very long time! Sunday Morning started off slowly, the bunny did not visit overnight, as I was able to sleep in a little bit, but didn't want to miss it her joy. But at the right time the baskets appeared! My lovely husband for sure overbought for me, but I know that it is secretly to keep him from having to do evening chocolate runs in the near future. 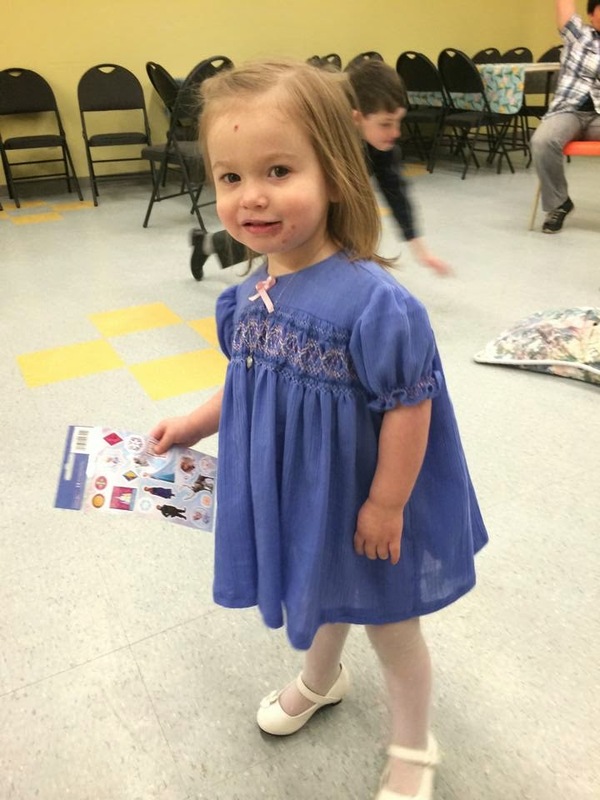 Evie was unsure what she liked most, but at least half of the Sophia stickers were already gone before we left for church, and a sheet of Frozen stickers was held in her hot little hand for the entire church service. She enjoyed her rare indulgence of chocolate and chowed down a bit yesterday morning, but seems to have forgotten about it since. Yes, Evie's basket is quite sparse. 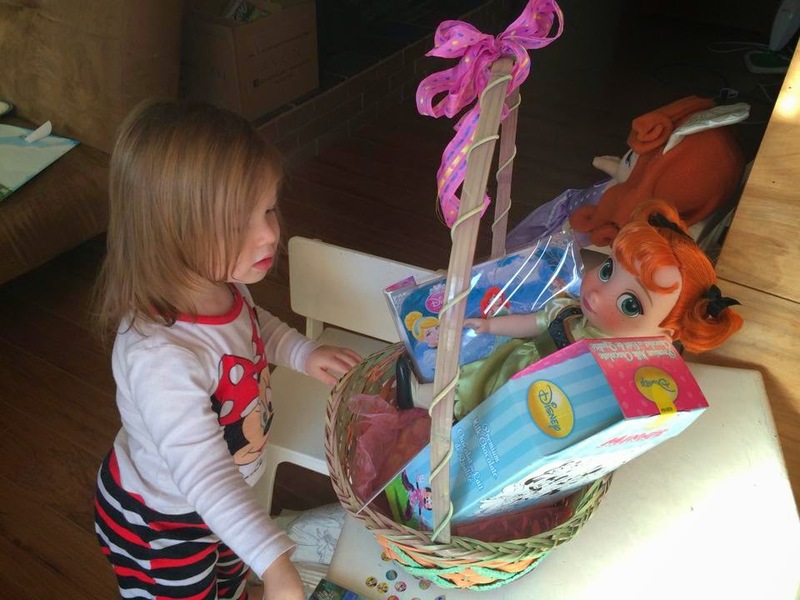 We knew she would receive gifts from her grandparents on top of what she received from us. Also, it is not Christmas! 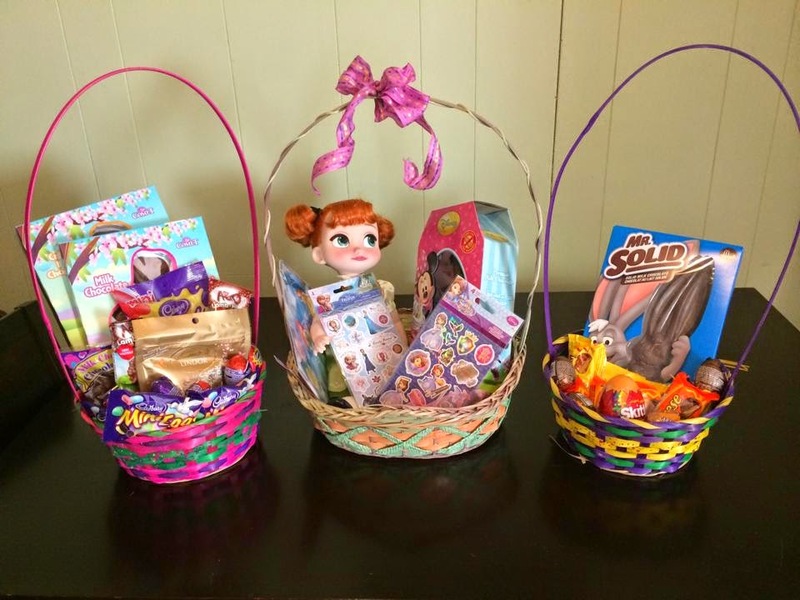 I was honestly blown away by many of the "baskets" I saw on my feed this Easter. The gifts that were given would absolutely never fit in any basket, they would barely fit on a kitchen table! I am puzzled by this excess, why do children "need" all that stuff and when did Easter become a "present" holiday? We of course headed to our Sunday Morning service and had a great time fellowshipping with our church family. I was surprised to see very few new people there, but it was nice to see everyone else there at once. 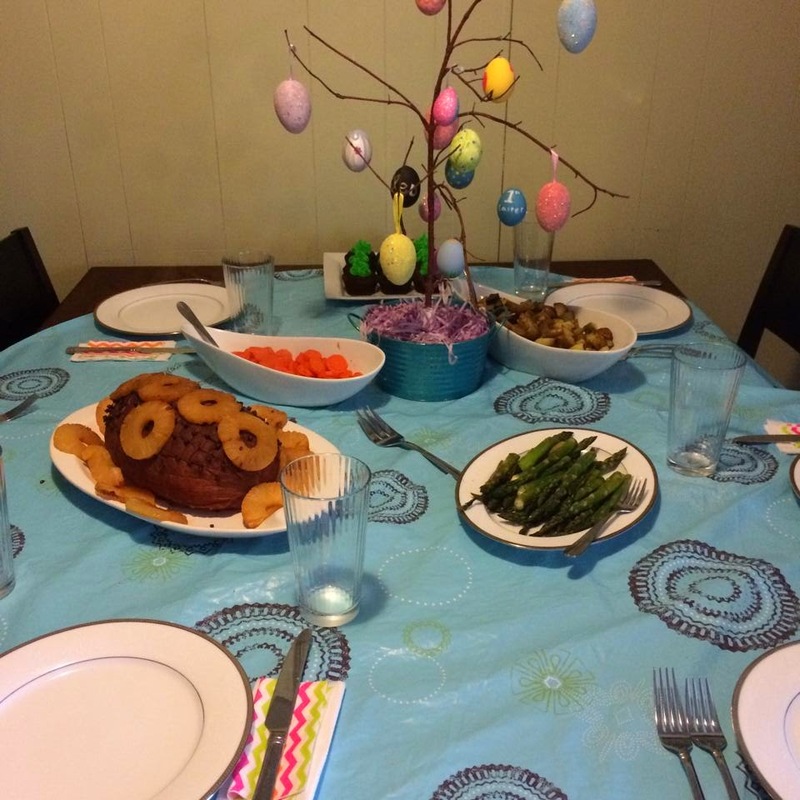 Easter proceeded in chaos as hubster and I prepared a good old fashioned Easter meal. I made my best rendition of my Dad's famous ham to date! It is a very vintage style family recipe, but is always amazing. But sorry, I am not going to share it with you, that is a family secret! My best trick was the carrot cupcakes. I was sure I was inspired by a pin, but I cannot find it now of course! Honestly my motivation was simply finding something simple and super cute. The decorating probably took me 10 minutes flat, and was finished just as my ILs came through the door. 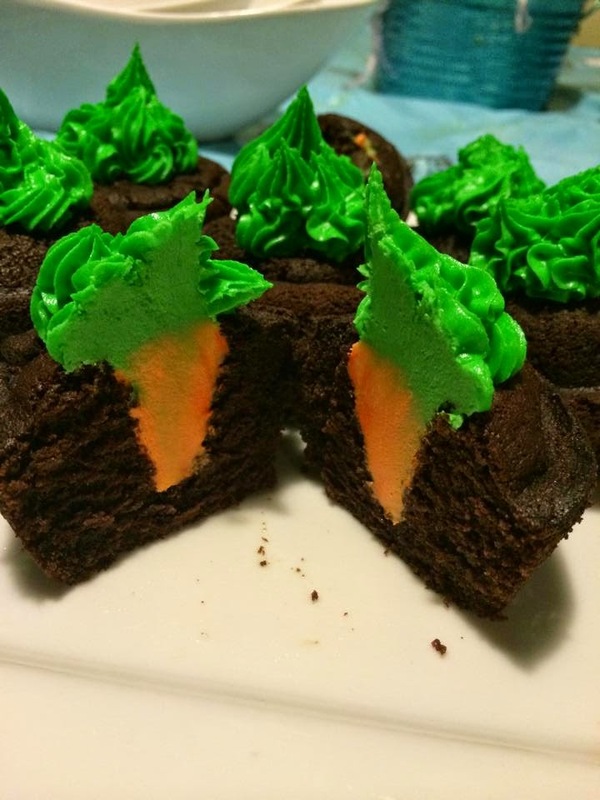 When I offered them as "Carrot" cupcakes everyone was completely perplexed. My MIL thought they were "Carob" but once they were cut, everyone let out a simultaneous "ooooohhhhh". They were for sure a hit! Overall I think we had a great Easter! We had fun with our friends and our family and got to celebrate the resurrection of Christ. 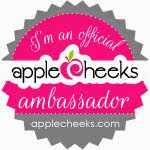 I hope that you also had a great weekend and were able to share you time with some special people. Now I get to tease you all! 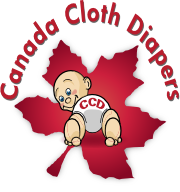 You should keep an eye on the blog in the next few days, there is going to be a very exciting announcement near the end of the week and you will not want to miss it!